Lynx Party Pro: This started as an internal 24 hour creative challenge but was deemed so successful it was pitched and sold to the client. 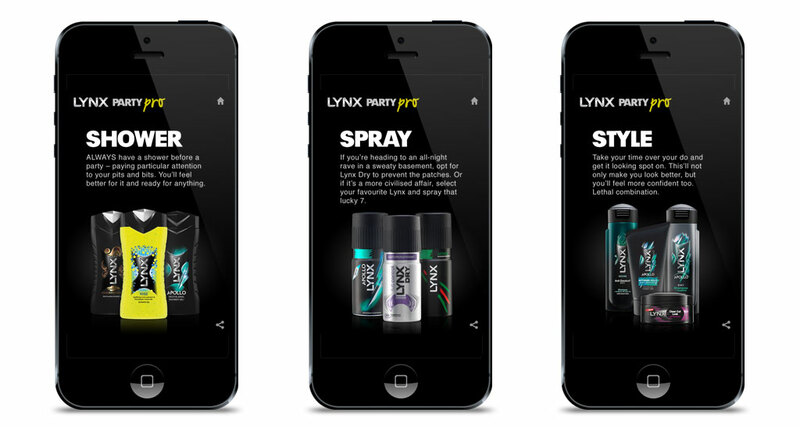 Lynx Party Pro is a web app designed to help guys pull over the festive period. The app connected to a guy’s Facebook events and told them the parties with the best guy:girl ratio – increasing the odds of pulling in their favour. Additionally a user could challenge their mates to Bar Roulette or try their luck with Cat Up Lines. My involvement: Lead designer for the web app. 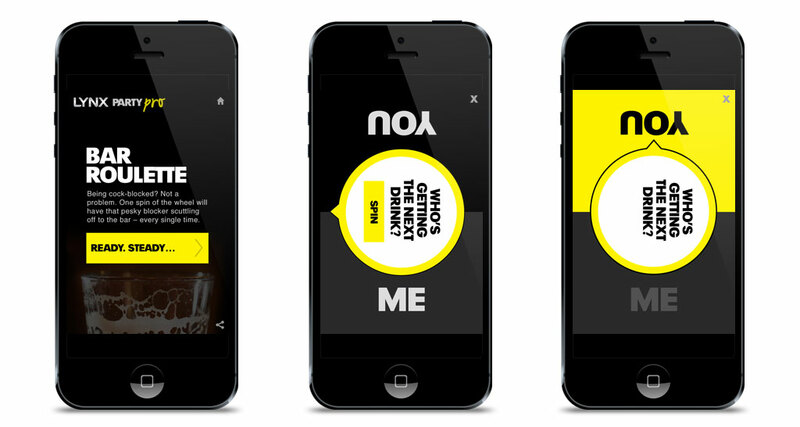 I took the initial ideas that were created during the 24 hour challenge and created designs that reflected the Lynx brand whilst also working with wireframes that were developed after the initial ideas. 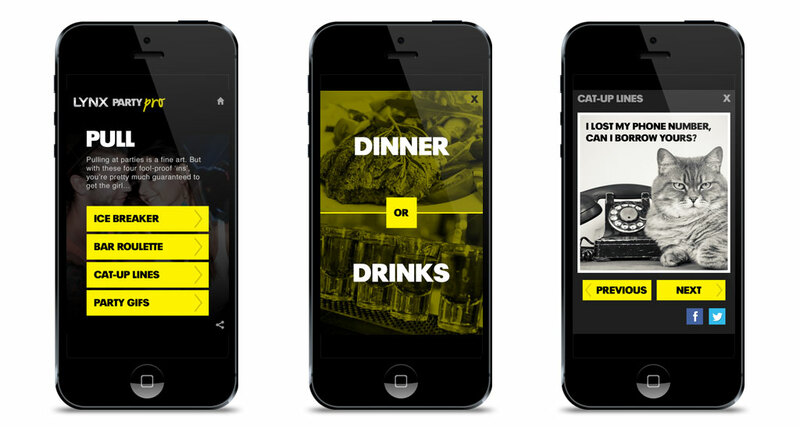 As this web app was designed to be used on a mobile, consideration of user experience was key to ensuring that the design was successful.